Century City, CA (July 18, 2014) – LKP Global Law, LLP, a Los Angeles based law firm, congratulates its client, Integrated Whale Media Investments, on its agreement to acquire a majority stake in Forbes Media, LLC, whose portfolio of assets include Forbes magazine, Forbes.com, and other media, digital, technology and branded products. Upon closing, the agreement shall conclude the Forbes family’s 97-year control of the publishing giant. The Forbes family will retain a minority ownership stake, with its patriarch, Steve Forbes, continuing to serve as the chairman and editor in chief. LKP Global Law, LLP served as the legal advisor to the buyer since the negotiations began late last year. Kevin K. Leung was the lead attorney for LKP Global Law, LLP on this transaction with support from Francis Chen. 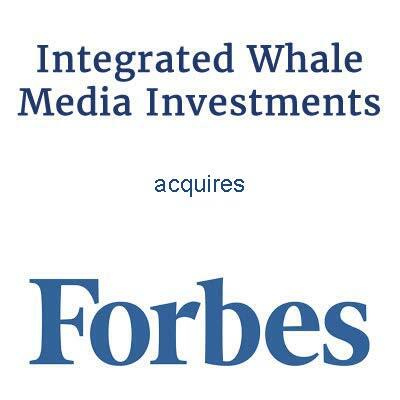 LKP Global Law, LLP looks forward to collaborating with Integrated Whale Media Investments and Forbes Media, LLC in their efforts to grow and strengthen the Forbes brand throughout the world.